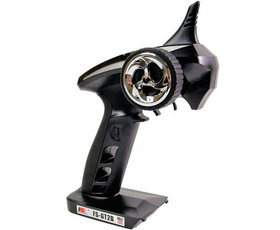 3-channel 2,4 Ghz car/boat transmitter set. 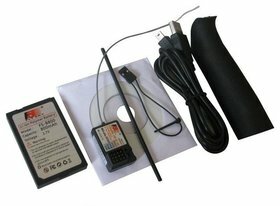 Package includes 3 ch 2,4 Ghz receiver, LiPo battery, USB charging wire, handle grip and manuals on CD. 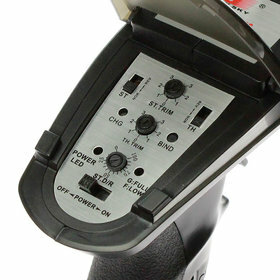 Servo reverse, trims and dualrate for steering. Ch3 as a on/off switch.